My friend Wes and I met up at the Walnut Bridge Coffee House last week for a laid-back lunch. 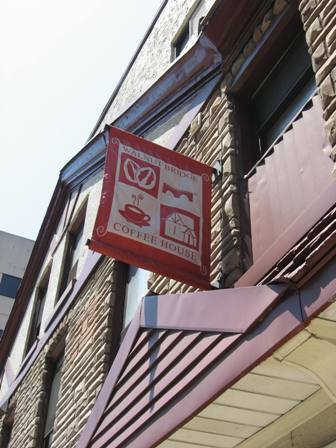 After running by this shop twice daily to and from the Schuylkill River, it was nice to finally sit down and enjoy the coffee house’s wonderful ambiance and colorful decor. 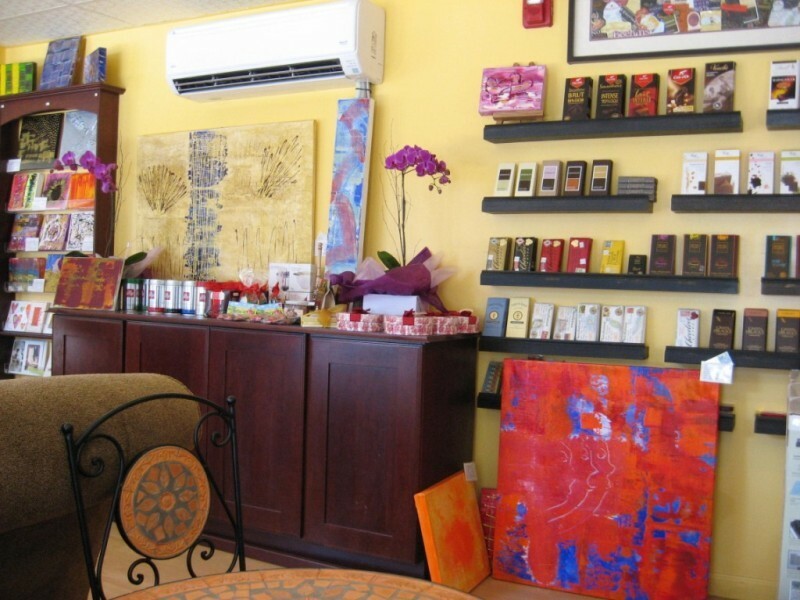 During our visit, the work of German artist Connie Reschke lit up the already vibrant walls. Walnut Bridge serves up Illy Coffee, a good selection of pastries, and oodles of gourmet chocolates, but on this midday visit Wes and I both ordered paninis. After making our selections and paying at the counter, the paninis were grilled in the kitchen and brought to our table. 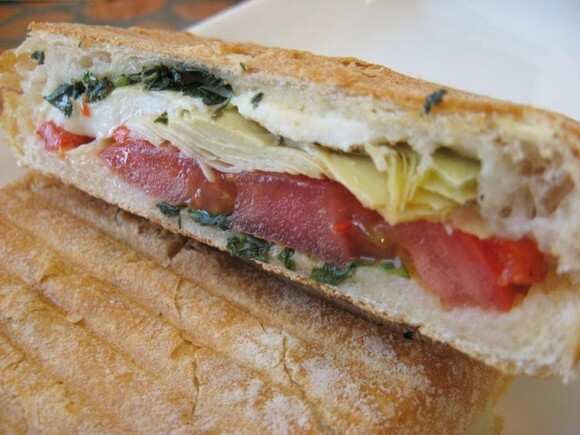 My vegetarian panini, stuffed with tomatoes, red peppers, fresh mozzarella, artichokes, and basil, was marvelous! The cheese melted beautifully under the press and the bread was perfectly toasted. The artichokes and tomatoes were fresh and delicious as well. 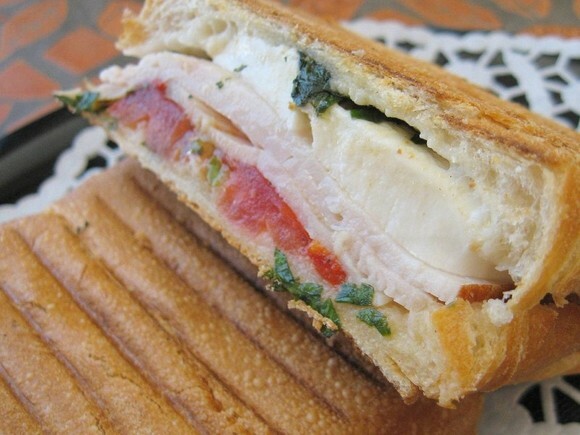 This panini rivals Già Pronto’s as the city’s best. Wes’ panini contained tomatoes, red peppers, fresh mozzarella, basil and thin slices of turkey. Unfortunately, too much basil kept Wes from totally enjoying his sandwich.